we interrupt this blog with a very important notice! Yes! 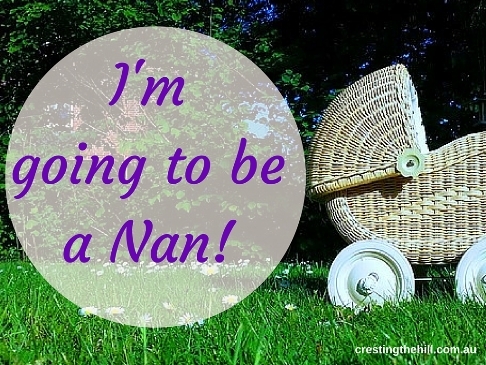 I'm going to be a Nan - it's officially up on facebook so I can do a shout out to Nana-dom! What more can I say other than I'm stoked that our son and his lovely wife are having our first grandbaby - due April 24th next year. I managed to keep it a secret for a few weeks while they waited for the 12 week scan. They put up their big announcement on facebook this week, so now I'm allowed to talk about it as much as I like. 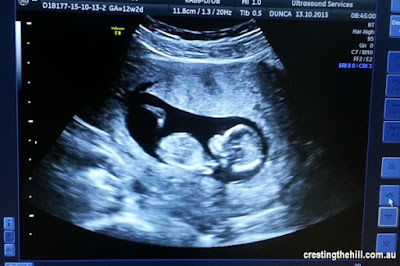 I probably won't overkill the topic but I couldn't resist announcing it and I've even included a picture of the 12 week ultrasound so you can check if there is any family resemblance yet! I wish I was a knitter or a quilter or a maker of cool baby things, but alas and alack, this child will have to hope it's other grandmother is better at that type of activity. Instead I'll be combing the baby section of the shops looking for cute little baby outfits and fun toys that won't break the budget. Shopping looks like being fun again! Congratulations to you Leanne, your kids, the whole family. This is a milestone for your family and a joyous one at that. Now you get to spoil the little one. Now you will be enjoying the fruits of your labor. It will be a precious time! Mazel Tov as my people say. So much love and congratulations your way. Too funny - as soon as I saw this I thought the SAME THING! Mazel Tov! How exciting!!! I'm so thrilled for you. :) I hope your daughter-in-law has a very healthy pregnancy. Congratulations Nan to be! Are they close? Will you be able to get your regular baby hit? Baby stuff is honestly too too cute and fun to buy. I'm super excited for you Leanne! The best thing in the world are grandchildren. So much more fun than the children were. We can slow down and enjoy each little phase they go through plus we get to send them home when we are tired! We got the shock of our lives when my daughter had her scan and there were TWO babies! We were worried at first but it's been amazing. Two babies to love at once! That's great news, Leanne! I sometimes think I've missed out on a lot. Never having had children, I'm also missing out on being a Nana, but I love my girlfriend's grandkids! you get to be favourite pretend-nana Brenda, and that's pretty good too. I have a few nieces and nephews with babies and being a great (that would be great!!) 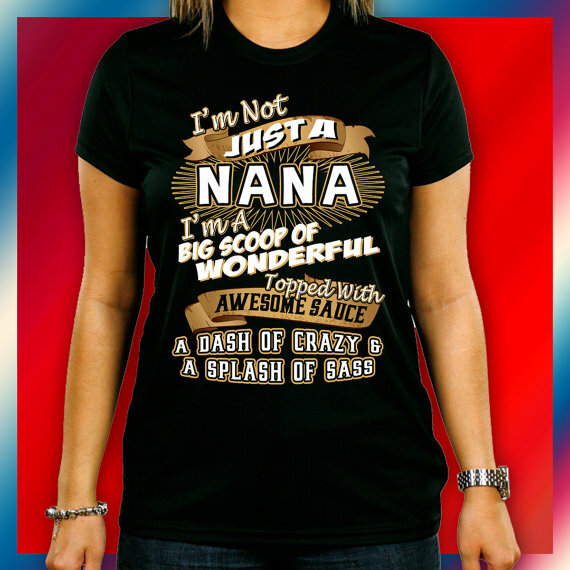 aunt has been almost as good as being a nana. Congrats Nana-To-Be and I'm sure you will be a great one! Such fun to have a new babe in the family. All the best to your son and his wife during this next journey. How exciting! SO happy for you. I'm looking forward to this - someday in the far off future. What wonderful news! thanks Lana - it's the just the best news all round! Oh - what happy news. How exciting for you - midlife will take on a whole new dynamic, I am sure! Congratulations to you and your family Leanne! thanks so much Susan - it's a really love stage and I'm looking forward to all those grandbaby cuddles next year! I made sure I cropped off anything in the photo that might be linked to them - I think they will be fairly careful with facebook too, but I think a little bit of sharing is fun and fairly harmless - over sharing is what kills it for me!